Purpose: To build high performing physician teams for radiology groups and hospitals that enable all clinical service lines to thrive. As a trusted partner, USA Radiology Management Solutions, LLC (USRadMgmt) augments and expands radiology services with comprehensive, turn-key, 24/7 solutions. We provide on-site radiologists, sub-specialty interpretations, teleradiology, Wrap-Around services as well as final and preliminary radiology reports. All interpretations are performed by US-based, Board Certified radiologists. Are any members of the radiology team planning to retire early? Are you meeting the quality metrics you have established for the radiology department? 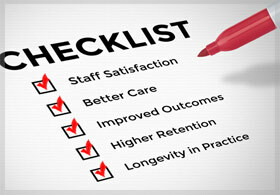 What is the ideal radiology services arrangement for your organization? Is it the administration’s responsibility to provide the radiology staff an environment for optimal work life balance? Are you impressed with the service mentality displayed by the radiology department? What impact does a reliable radiology team have on outcomes, costs, and patient satisfaction? US Rad Management © 2019. All Rights Reserved.